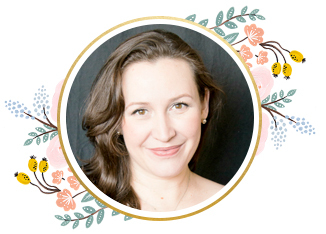 What can I tell you about Huna Apothecary? It is probably a #1 in my top favourite picks for amazing, therapeutic, high quality, effective and natural skincare handmade in the beautiful Prairies of Manitoba. 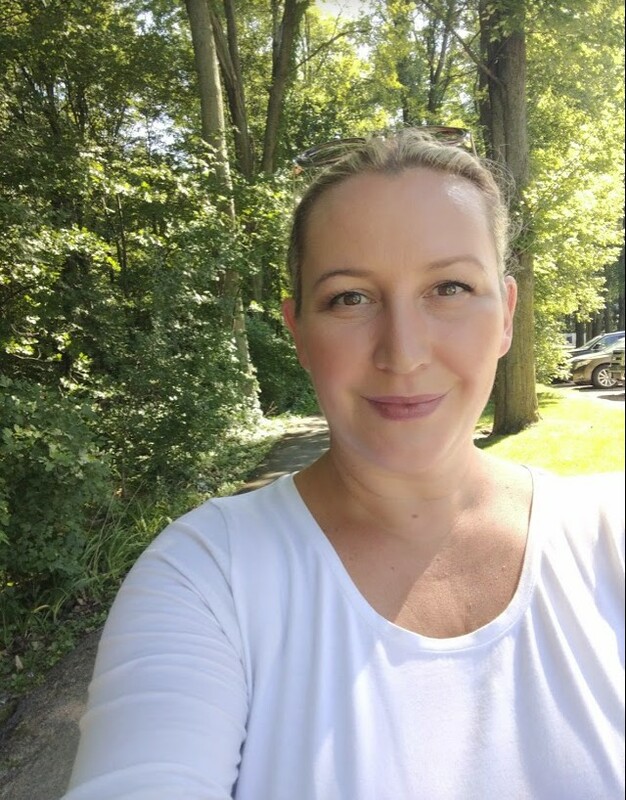 I may be biased as I love my Winnipeggers but since using their products, I have been savouring every drop and I’ve seen such a change in my skin! 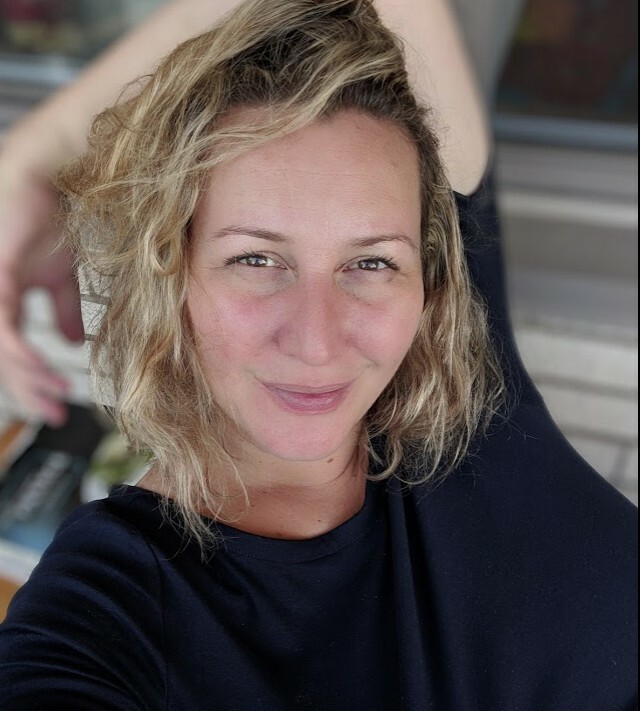 So much so that people are asking what I am using, that even when I went for a facial at Hand & Stone, my esthetician even commented on my healthy glow and the quality of my skin. Here’s a before. A little redness, some sun damage and fine lines around my eyes, a little lacklustre. So, my skincare concerns are always about hydration, sensitivity and the quality of my skin. I want flawless, healthy-looking skin. I can deal with wrinkles. I want radiance. Huna Apothecary delivered. Big time. 4 1/2 months of using Huna Apothecary. I only have lipstick and mascara on. Complexion is healthy, hydrated and glowing. With makeup. My skin looks just as lovely as without. Or is it just me? But my make up goes on better when my skin is in good health. I’m 41. I was sent their cleanser, toner, eye balm and serum to review. This cleanser is EVERYTHING and it comes with a little cloth to gently remove. It’s called the Revitalize Cleansing Creme. I was looking forward to my nightly ritual with Huna Apothecary thanks to this cleanser. I’ve never used a cleanser like it. It’s infused with organic mango butter, unrefined ucuuba + jojoba. This cleanser has such an amazing scent and texture. It truly leaves your skin feeling incredible and clean. Gentle and effective, if your skin needs some TLC this is where to start. Ok, this is another must. The whole line is, I ain’t gonna lie because there is something for every skin type. When that time comes for me to open my own skin care clinic, I’ll be using this for my facial line along with some others that I love. I have three brands in mind. Ok, so back to this. This Clarify Exfoliate Fruit Toner is what helped clear up my little hormonal pimple scars, gave my skin the even tone and freshness I craved for my skin. I did take a little summer break with it because of the AHA’s and with facial waxing. It’s seriously magic in a bottle upon waking up with such good skin. I love the packaging of the Firming Eye Cream. One pump is all you need and it dispenses the perfect amount. I gently tap underneath my eye, do some pressure points along the brow bone and gently do a lymphatic drain-circling around my eyes. Bye-bye darkness! It took Huna over 14 months of research in developing this eye cream. I have found it to be gentle and helping with my eyes, as I am turning into a squinter. I think I need glasses but that’s a whole other blog post. Sigh…. I feel as though there should be a drum roll with this. This, the Age-Grace Serum! Oh, this beautiful bottle of Seabuckthorn! Made also with organic rosehip oil contains trans-retinoic acid which is a natural form of vitamin A.
I literally have maybe enough left in my bottle for one more use. This was just fantastic and my skin loved it. Combine it with rosehip oil and my skin was even more balanced and redness subdued. It’s not greasy at all, in fact, it’s lightweight. It has helped to heal my skin as my skin suffered great damage years ago when I tried microdermabrasion. I knew it was a mistake the moment I was in the treatment room. It was too much for my skin. It also calms my inflammation, that is due to red wine and Caesars though 😉 But this gem of a bottle is top notch when it comes to revitalizing, healing and nourishing your skin. Thanks to the Carrot oil it imparts a healthful glow to my complexion. Huna Apothecary is based in Winnipeg, Manitoba. 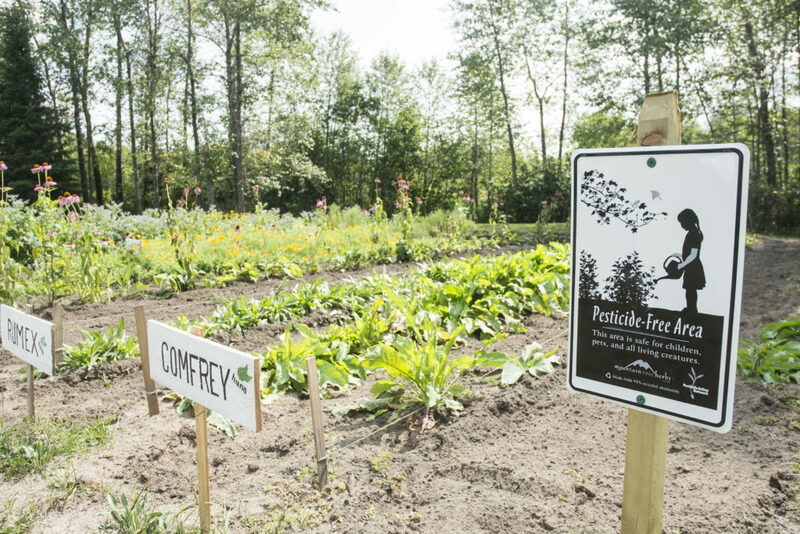 They grow their own herbs on a family acreage and have their own lab at the University of Manitoba campus. Their Organic Skin Nutrition Garden is something I wished I was able to see when I was back home in August. There’s something very special in knowing exactly how the skincare products you use are harvested and created. I feel like Huna Apothecary is truly a wonderful company to support. 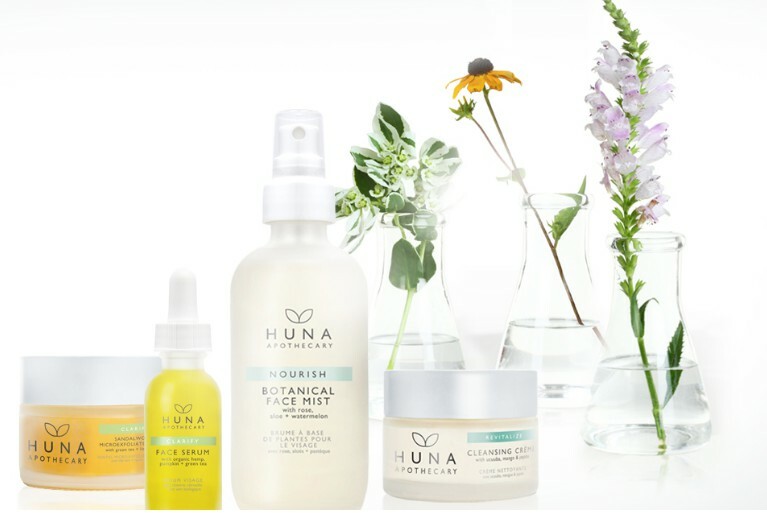 I mean, Huna is the first green beauty brand in North America, and possibly even in the world- to partner with a major University for production and research. Their home(as I already mentioned) is at the University of Manitoba’s Richardson Centre for Functional Foods & Nutraceuticals (RCFFN), which offers Huna a state-of-the-art Laboratory environment for production and research. How amazing is that?! This skincare line is just phenomenal because it works due to the herbs and oils that are used. Calendula is amazing, it has been scientifically proven to rapidly heal and repair skin damage, wounds and irritations. Calendula significantly increases skin hydration levels and possesses potent anti-inflammatory and antioxidant properties. It’s also antiviral-calendula is a little miracle plant. 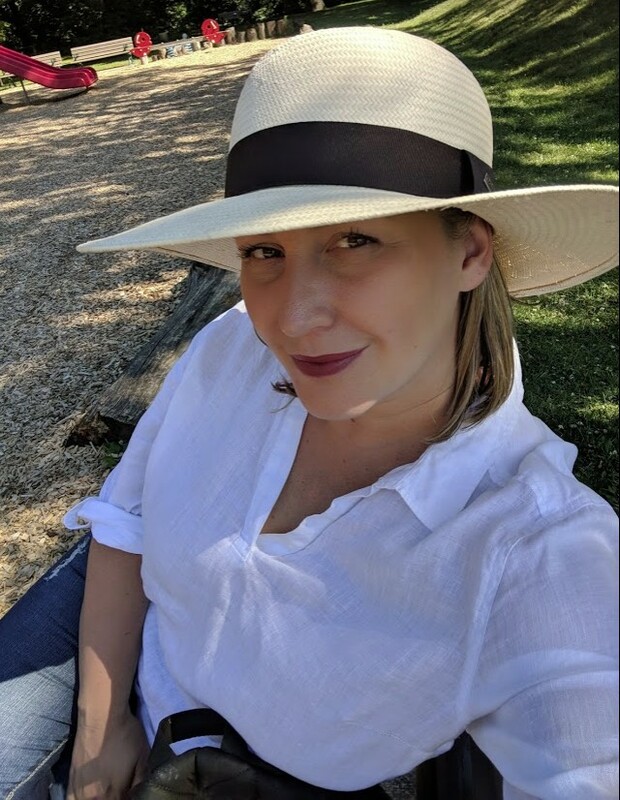 It has blown me away in the quality & effectiveness ( this is a high-end, high-quality skincare line), how it’s harvested, how the herbs are cared for, the process, how it’s researched and their meticulous process in offering truly natural skincare. This is the bee’s knees. 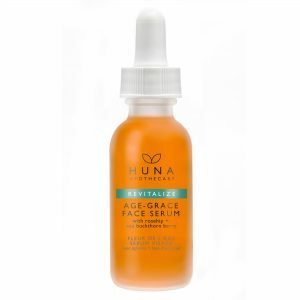 I am so thankful for Huna Apothecary providing me with the opportunity to review their skincare line. I truly hope you click on the links and indulge in serious skincare health and treat yourself to their products. $2 from every product sold goes to support Mental Health + Postpartum initiatives! I leave you with this quote from Heather the founder of Huna Apothecary. 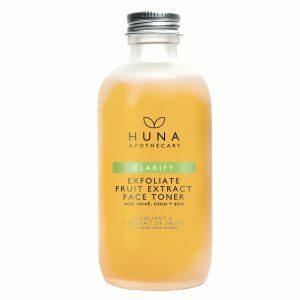 Disclosure: This blog post is in partnership with Huna Apothecary, all opinions are always my own as I was sent products to conduct my review. Thanks for the review,you look stunning ! You look great, these are amazing products!! it totally looks like you are wearing makeup and your skin looks so healthy! Wow! Look so good! Love the quote by Heather at the end! I hope you do. Thanks! Love to try those products,you look fantastic ! I had no idea that Huna Apothecary is based in Winnipeg, Manitoba. I’m from there. Sounds like wonderful products. You look amazing.